One of the unique aspects of construction in an urban environment is the lack of space between properties. Developers in New York City have been dealing with this problem for well over 100 years but as Long Island becomes more compact, the risks of construction in a close urban environment have arrived in Nassau and Suffolk Counties. More than a century of construction has taught New York City what is particularly dangerous about construction and how best to safeguard adjoining landowners. One of the more important obligations in New York City can be found in Â§3309.4 of the Building Code. Â§3309.4 says that regardless of the excavation or fill depth, the person who causes an excavation or fill to be made (i.e. the developer, general contractor and others) is legally obligated, at its own expense, to protect the adjoining structure. In 2012, New York's highest court found this statute's predecessor imposed "strict liability." This is essentially a "you break it, you bought it" rule. For example, if a developer working on site A has to excavate and damages site B, the developer on site A is responsible for the costs to repair site B: no excuses or explanations needed or accepted. While Long Island may not have an identical version of Â§3309.4, it does have similar requirements. One of the most difficult, and frustrating, things to deal with on Long Island is the individual, sometimes idiosyncratic, rules of each town. The town of Islip, for example, has Â§16-8 of the Building Code that requires anyone causing an excavation to be performed to "take all necessary precautions for the protection of...adjoining property owners which might be endangered by such excavations..." Similarly, the town of Huntington has Â§173-4 of the Building Code which states that any person making an excavation shall "take all necessary precautions for the protection of the property of...others which may be endangered by such excavations..." Many of Long Island's other towns have similar regulations. This creates two important questions: 1) how do I protect the adjoining property? ; and 2) how do I enter the adjoining property to erect the necessary protections? The first question is for the engineers. The second question is decidedly legal. When it becomes necessary to enter upon the land of the adjoining land owner either for purposes of making new improvements or for purposes of making repairs, but the adjoining landowner will not provide voluntary consent for the work to proceed on his or her property, Â§881 of the New York Real Property Actions and Proceedings Law provides the party seeking entry with a mechanism to seek judicial permission to enter the property without the neighbor's consent. So just how do you obtain a Â§881 License? You make an application, through a special proceeding, for a judicial license. The limited purpose of the special proceeding is the determination of whether a special license will be granted. In general, special proceedings are intended to be more efficient and faster than other litigation. A judicial license may be granted or denied within a few days of the application being made. However, if you want to avoid delays to your construction schedule, you should always plan in advance and identify whether a Â§881 license will be required. If it will be, bring it to your attorney as soon as possible so that the process can be started without delaying construction. A Â§881 Petition must contain allegations and evidence of the following: 1) Repairs or improvements to your property are necessary; 2) the repairs or improvements cannot be made without entering upon the property of the adjoining landowner; and 3) that permission to enter upon the adjoining landowner's property has been requested and denied. Whether the license is a judicial grant or negotiated between the parties, there are some crucial elements that must be addressed. In order to avoid problems during construction it is critical for there to be constant open lines of communication between the developer, the construction team, the engineering team and the legal team. A well run and managed project is the best way to avoid damaging adjoining properties and slowing down, or even stopping, your own construction project. 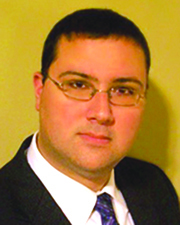 Vincent Pallaci, Esq., is a partner in the New York law firm of Kushnick Pallaci, PLLC, Melville, N.Y.